Sydney is one of the most happening cities in the world. And why wouldn’t it be? After all, it has the best of both the worlds. Not many are fortunate enough to become a citizen of Sidney. 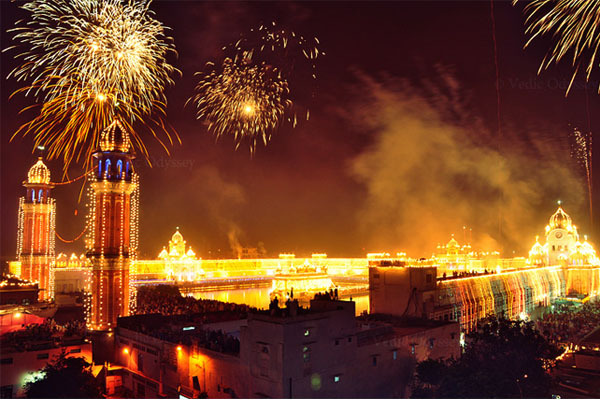 But you can anytime book a ticket and head to explore the city. Accommodation plays a critical role while touring the city. Whether you are looking for an accommodation that is close to the airport, in the heart of the city or near the beach, we have included all kinds of hotels and resorts for you to consider. Check them out below! If you want a hotel in the midst of the bustling city, the Rydges Sydney Central can be your pick. 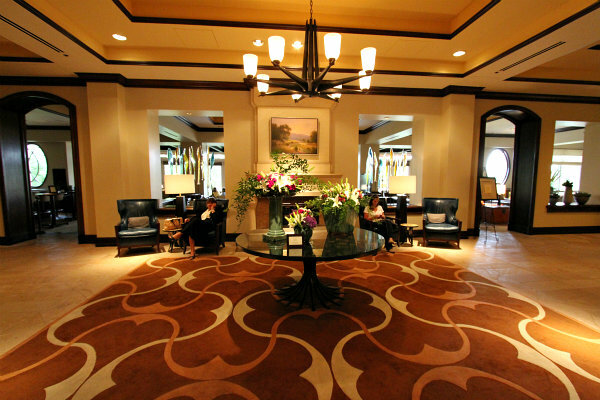 You will find yourself surrounded by elegance the moment you enter the hotel. There is a beautiful Koi pond right in the lobby, which provides a very soothing sight. The hotel offers 271 spacious rooms, all equipped with state of art amenities, besides the free WiFi and comfortable beds. 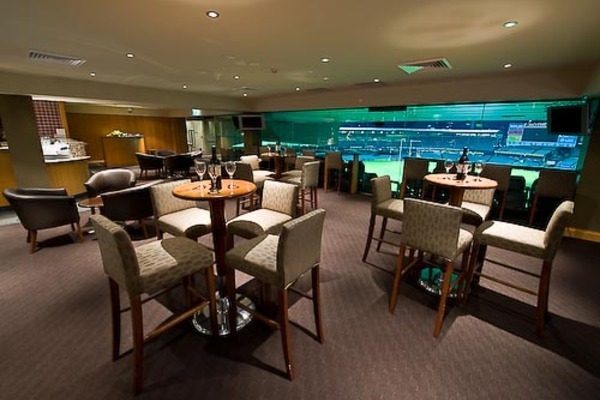 If you are here for a business trip, then the Surry Hills function rooms will provide you with all the facilities. And if you are here for a vacation, then you can relax by soaking yourself in a heated sauna or lounging by the poolside. To get a quick bite, you can head to the Surry Hills Restaurant. 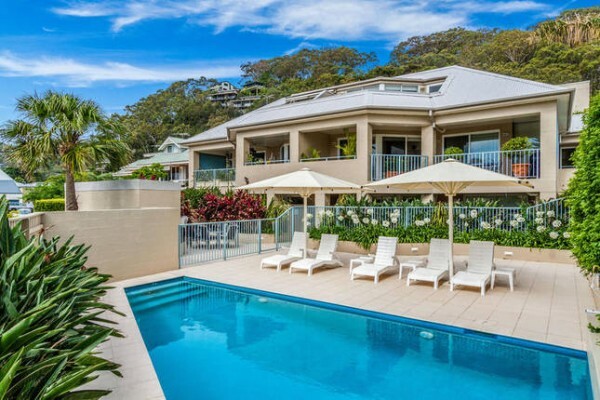 Iluka Apartments Palm Beach Resort is one of the gorgeous resorts we have laid our eyes on. The resort offers a selection of fully furnished one and two bedroom apartments for family holidays, weekend getaways, and relocation stays. The apartment is located in the Palm Beach Village and is equipped with shops, restaurants and cafes. Here, you will get facilities likes fully equipped kitchen, secure parking, on-site laundry services, resort pool and barbecue areas, flat screen television and DVD, private balcony or terrace and many more. Iluka Apartments Palm Beach also provides wedding accommodation. It is a great place to hold bridal parties or reception. Your wedding guests will not complain at this for sure. And with the Palm Beach Salon located on site, you can have your makeup and hair done at the apartment itself. The BLUE Sydney is much more than a boutique hotel. 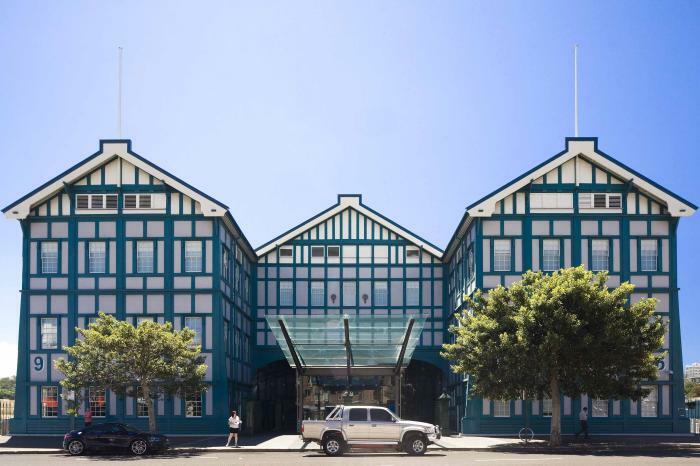 The hotel is housed in a historic wharf building, providing a shining example of urban restoration and stylish accommodation. BLUE Sydney is an arresting mix of new and old. To honor the past, the hotel has kept the original timber wood exterior intact. Inside, it’s an entirely different story altogether. The hotel offers sleek, common spaces with well-appointed lofts and rooms. BLUE Sydney is located on the Wharf at the Woolloomooloo, which contains some of the city’s top restaurants. The Water Bar, with the BLUE Sydney, is named the Sydney’s best bar. Many of the top most attractions of Sydney like the Opera House and Royal Botanical Gardens are within the walking distance. There are many shopping and financial districts nearby too. 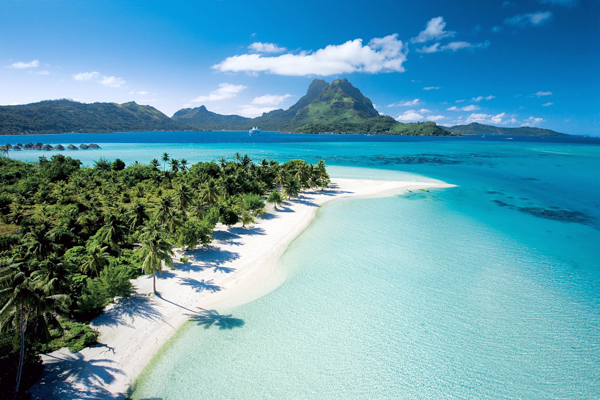 Jonah’s is hands down, one of the most beautiful resorts, not just of Australia, but also of the whole world. You are just a 12-minute seaplane flight from Sydney’s luxurious accommodations and award-winning Australian cuisine. Jonah’s has been a prominent destination of the Whale Beach since 1929. The rooms are spacious, elegant, but relaxing. It has beautiful handcrafted furniture with limestone baths and king-sized beds. Plus, you also get a private balcony, enjoyable massage sessions, a private garden and a swimming pool. And the dining here is simply out of the world. You get delectable South European, French and North American cuisine. And then, of course, there are superlative activities. You can indulge in adventurous activities like fishing, swimming, photography, whale watching and sightseeing. 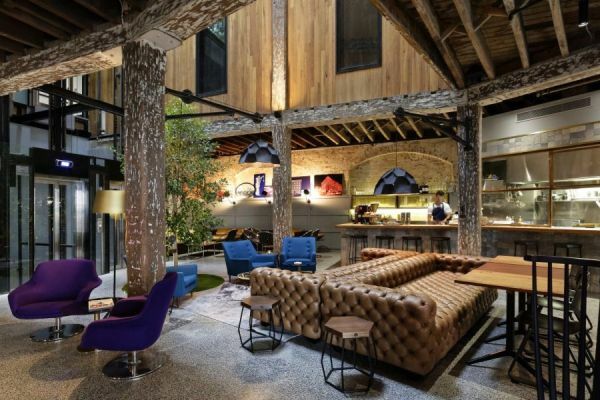 Located just a few steps from the Darling Harbor, 1888 is world’s first “Instagram Hotel”. It offers its guest a blend of contemporary with old school charm and personalized service. The toughest decision you will encounter here is which filter to apply to those vacation snaps. The 1888 Hotel has 90 rooms equipped with cutting-edge amenities like complimentary Wi-Fi, in-room iPad, and Smart TV. Instagram is the heart of this hotel. Just as you enter, you will encounter two screens displaying feed of the photos bearing the #1888hotel hash tag. There is also space for the visitors and guest to get creative with their shot. You can also choose for the “Insta-Walk” Map to get a walking tour of the local photography sites. You will get complimentary access to the nearby Ian Thorpe Aquatic Center. Pier One Sydney Harbor is a unique, Federation-style architecture blended with contemporary style. 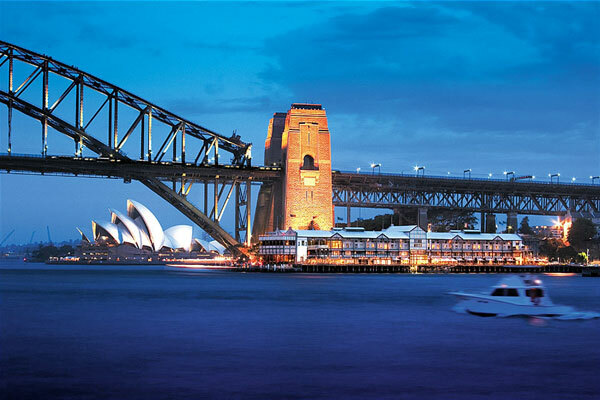 Nestled alongside the Sydney Harbor Bridge, the hotel offers magnificent views of the city. The famous Pier One Sydney Harbor is built over water and provides easy access to the historic dining and entertainment precinct. The rooms and suites are decorated with original ironwork and timber. These centerpieces were once part of the historic Pier One Wharf. Here, you must enjoy the al fresco lunch or the cocktail creation dining at the Gantry Restaurant and Bar. And the range of meeting venues and conference are exemplary. The Riverside Oaks Golf Resort, set amongst the 580 acres of the Australian bushland, is one of the luxurious resorts to set your feet on. The resort is just 80 minutes drive from the northwest of Sydney. 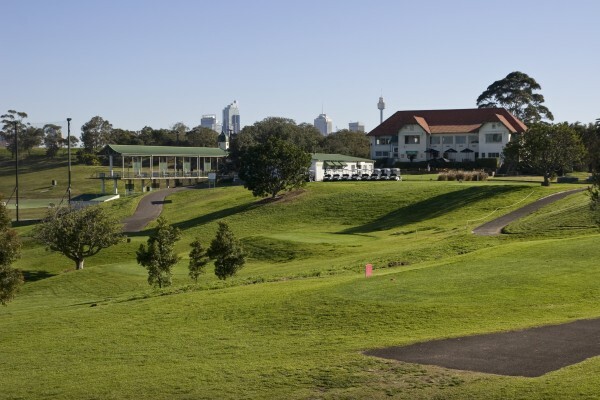 Riverside Oaks Golf Resort offers a wilderness experience amongst the stunning surroundings with an accommodation that attracts business events, families and wedding from Sydney. Here, you will get facilities like the lounge, golf course, 24 hours internet access and swimming pool. 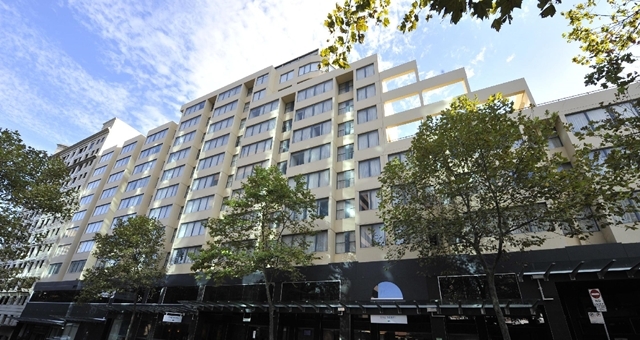 The ADGE Apartment Hotel is a well-equipped guest house in the heart of the Sydney City. It offers the guests with two bedrooms, two bathrooms, and a kitchen. 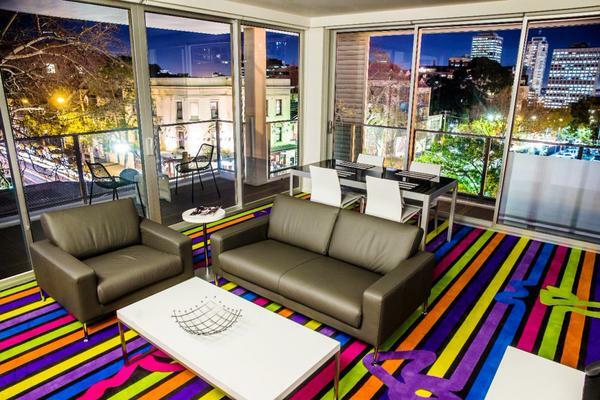 Each apartment reflects the bold character of the Surry Hills. The furnishing of the apartment is done in utmost sophistication. The apartment suite features smart television, lounging and dining areas, a kitchen with European appliances and an internal laundry with washing and drying machine. The master bedroom has an added convenience of a Jacuzzi and other upscale amenities. These spacious rooms are perfect for a weekend escape. And every suite will give you views of the stunning city. Besides, you will also get Ziggy’s in-room hair styling service and a welcome tonic to restore the balance of mind, body, and spirit. 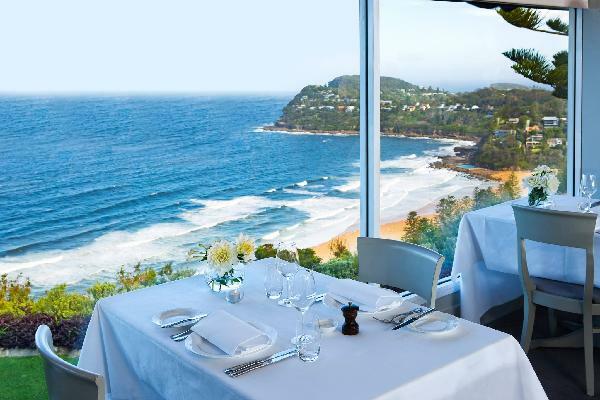 Larmont Sydney by Lancemore provides the business and leisure traveler elegantly modern Down Under accommodation. The buildings here are sleek, streamlined and effortlessly appealing. The sights of Sidney are tough to beat as it comes with a perfect combination of modern and beauty materials. Now you can get the views from the hotel itself. The hotel provides unique viewpoints from where you can gaze the stunning views of the city. The cool details and contemporary furnishing are found in all the stay options. You can also give the One and Two bedrooms a try. And not to mention the location. The major attractions of the city like Financial District, Oxford Street Shopping and Sydney’s Town Hall are just at 10 minutes distance. If the sun of Sydney takes the better of you, then you can retreat to the Four Seasons Hotel Sydney. You will get a dignified, yet relaxed exercise in the true Australian style. Located just near the Rocks District sits the Four Seasons Hotel. The hotel offers 531 rooms that are sleek and a tad masculine in its aesthetic. The hotel is just perfect for throwing off your suit jacket at the end of the day. The rooms are done beautifully in modern padded headboards, dark Honduran wood, and relaxing tones. For further stress relief, there is a spa equipped with Sodashi products, clay treatments, and whirlpools. You can also float for a minute in the triangular pool. It is the largest of its kind in Sydney. We hope you find our list useful. If you have any other resort or hotel in your view, then please tell us by commenting below.